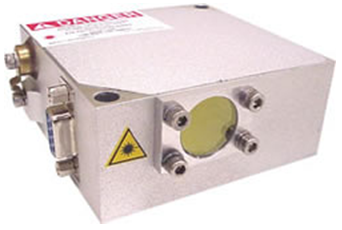 Collimated Laser Diodes -- OPTTON, Inc.
Optton collimated laser diodes offer high power with superior beam quality. These compact devices deliver output beam power ranging from a few watts to 3kW having single wavelength with divergence angles as low as 3mrad. The low-powered devices are conductively cooled and ready for mounting on a heat sink. The high power devices are normally water-cooled. Apollo's water cooled devices are robust. There is no need to usede-ion water or ultra-filtration. The collimated laser beam can easily be focused or combined with conventional optics to provide the exact spot size or geometry needed. Apollo's collimated laser diodes provide ideal beam sources for system integration and offer the simplest, easiest way to deliver high-power laser light to a variety of applications. Stray light can be removed from collimated laser modules without changing the polarization, which results in a cleaner focal spot. These laser diode devices can be designed to operate with high-power output in QCW mode and other pulse modes. The short pulse option allows the module to produce very short (ns level) pulses as a stand-alone device. A photodiode sensor placed in the module provides the user with a precise gauge of the laser status. Some products can be equipped with our TEC cooling stage. Together with a thermal electric cooler (TEC) and heat sink, the cooling stage allows precision cooling. Based on your need, the heat sink can be air-cooled or water-cooled. The advanced circuit design and layout of the laser diode driver provides a low noise, highly stable output current. 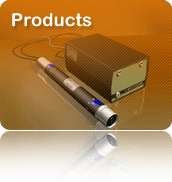 External digital modulation input allows precision control of the laser output for use in a variety of applications. A slow-start sequence as well as multiple shorting and current limiting circuits provides superior protection during operation of the laser diode.